Dr Duck’s Ax Wax and String Lube is quite simply the best organic cleaning, polishing and moisturising formula for your guitar and other instruments. It’s perfect for DIY Guitar builders looking for a safe and effective solution for finishing the fretboard. Dr Duck’s Ax Wax is also ideal for polishing your entire guitar including the headstock, front, sides, back, pickguards, bridge, posts, saddles, machine heads, strap locks, frets and yes – strings too. It’s great for restoring strings, it increases the string life and it helps to prevent fret oxidation. You get about 120ml which lasts ages. It’s super concentrated so you only need to use a small amount each time. 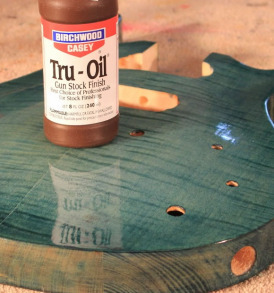 Best of all – it’s safe to use on all sorts of instruments and finishes. 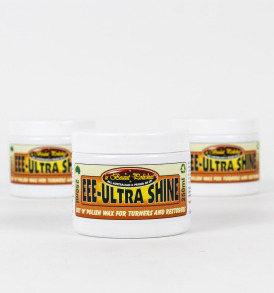 Despite it’s name, it contains no wax, no abrasives, no synthetics, no silicones and no acids. 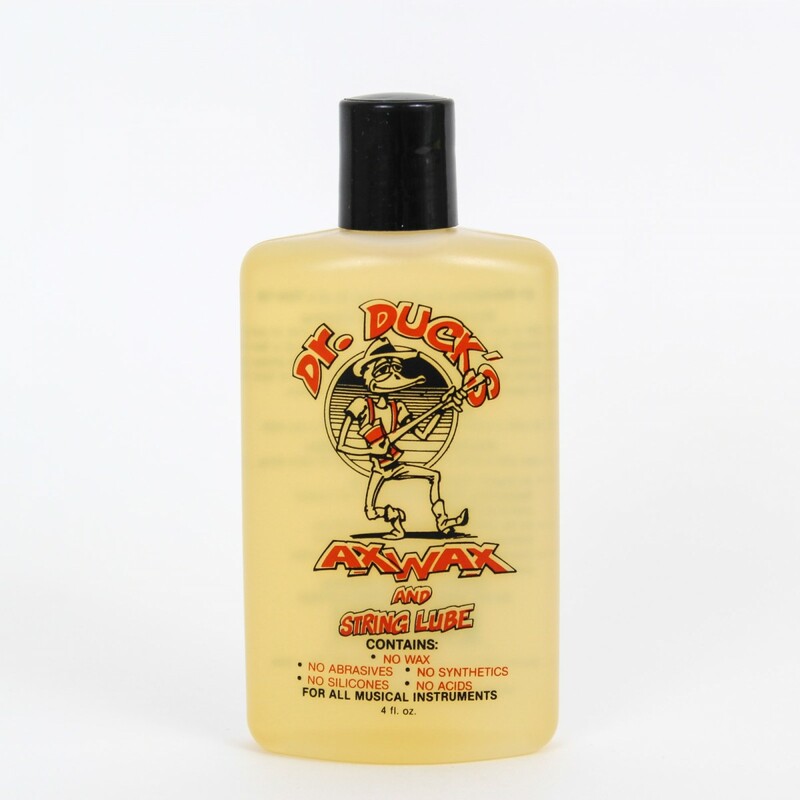 Discover why professionals the world over love Dr Duck’s Ax Wax and String Lube. Put 2 or 3 drops on an applicator cloth. Start with the back of the instrument and apply using a circular motion, spreading the drop as far as you can. Let it sit for two minutes. Using a 100% cotton cloth (i.e. 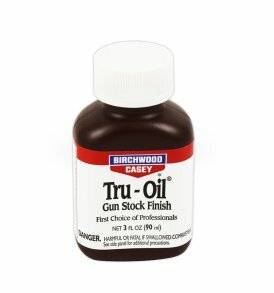 not synthetic), buff it out for a full lustre. If it feels a little greasy then you’re not done buffing. Pick another part of the instrument and repeat steps 2, 3 and 4. Apply with an applicator cloth and then wipe off excess with a clean polishing cloth. Really good stuff. Totally natural, no solvents, no silicons. 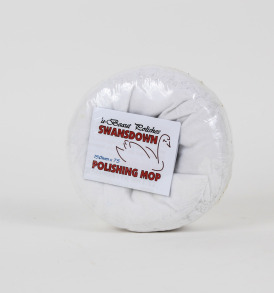 Really easy to apply and a little bit of elbow grease to buff to a great shine. Use it all over the guitar. Makes a satin neck staying looking flat but feel so smooth and slippery. Eases string noise and makes clunkers so much more playable.